Caterpillar already has seven autonomous haul fleets running around the globe, with an eighth to come online next year at Fortescue Metal Group’s Cloudbreak iron ore mine. Yet, the company is continuing to drive forward with its autonomous offering with plans to make its entire large mining truck class autonomy-ready. Cat is currently running the 789D, 793F and 797F in autonomous mode with its Command for hauling module, part of its MineStar system. It has over 100 trucks in the field, which have hauled more than 600 Mt of material. 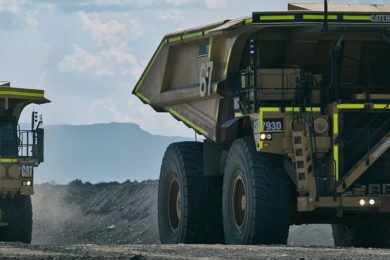 The company revealed on Thursday at its Tinaja Hills facility in Tucson, Arizona, that it has plans to roll out autonomy across the whole group of large mining trucks. This includes the newly-added electric drive 796 AC and 798 AC haul trucks. This move shows the company’s intent when it comes to automating mine site haulage, providing various payload options across its large mining trucks. It is also a reflection of how the benefits of autonomy are becoming apparent to Cat’s current and future customers, with Cat pointing out that mining operators are realising they can continue to reach production goals with smaller machines than previously used in manned operations.